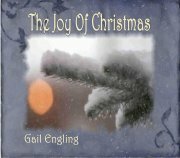 The Joy of Christmas is NOW AVAILABLE for purchase here off my website! You can also pick up one (or several LOL) from me at any live event. Also available for download from CD BABY and ITunes! Happy Christmas ENJOY! Where did this year go?!! Is it just me? We have had ourselves tucked securely away in the studio preparing for this Christmas season’s biggest event…My Christmas CD! Ok it is OUR biggest event. I will have the honor of attending and sharing the stage at the Filmore for the Detroit Music Awards with Sweet Crystal. I am so blessed and very exicited for this special event! Thank you Father God for opening this door for me! Thank you Sweet Crystal for allowing me to ride on your coat tails! What a ride this will be! Praise God! Whoo Hoo! Yes, it has been quite sometime since I have sat down and poured my thoughts into my blog. I have created quite a plethora of activities that have been keeping me busy. Too many irons in the fire so to speak. But, on the bright side of thing they are all things I love. He loves me He Loves me not ~ a reply to a professed atheist. My heart goes out to you my friend. It sounds to me like it is more the fact that you are angry with God for all that is happening here than it is that you don’t believe that He exists. Atheist, agnostic either way, God gives you a headache and you would rather just not think about why someone who claims to be so powerful, would chose to turn His back on His own creation. You have given up on God’s existence so I am presuming that you do not believe in Satan as well. I will continue as if I am correct in that presumption. It seems to me that one would want to put the name they were born with and live by day to day, to claim their identity. The name they were born with or married into. I was Gail Perenchio to my family and my little world of peers for 18 years. I was Gail Perenchio to them all until I married and became Gail Engling. Changing my name to my husband’s name was not difficult at all for me, it was who I was to become, since I was in kindergarten… I wanted to be married and become, my husband’s wife complete with name and everything. So I adjusted accordingly. After I was encouraged by the Lord to take a break from playing music in the places I had been playing, I finally had released myself from the name Gail DonAvan. Well actually, I wasn't as cooperative as all that, and it was more like a two by four between the eyes before I got the message that I needed to back away from the venues I was playing in. So I did. My hubby didn’t understand it… he wasn’t pleased at all, but I had to do what I had to do.